Rev. Otis Moss, A Cappella Group Committed Highlight Lexington Celebration of Martin Luther King Jr.
LEXINGTON, Ky. (Dec. 6, 2016) — Lexington's annual celebration of the life of Martin Luther King Jr. will take place Monday, Jan 16. The event will begin with a Freedom March at 10 a.m. starting at the Lexington Convention Center, followed at 11 a.m. by a Commemorative Program in Heritage Hall featuring keynote speaker Rev. Otis Moss III. The featured musical guest is the a cappella group Committed — winner of the TV show "The Sing-Off." Moss is the senior pastor of Trinity United Church of Christ in Chicago, Illinois. He has spent the last 20 years practicing and preaching a black theology that calls attention to the problems of mass incarceration, environmental justice and economic inequality. As part of his community engagement through Trinity United Church of Christ, Moss led the team that developed the “My Life Matters” curriculum, which includes the viral video “Get Home Safely: 10 Rules of Survival,” created following the shooting death of Michael Brown by Ferguson, Missouri, police. The five-member a cappella group Committed, from Huntsville, Alabama, won the second season of NBC's "The Sing-Off." Following the Commemorative Program, a 2:30 p.m. showing of “Race,” a film based on the story of Jesse Owens, will take place at the Kentucky Theatre and the Harlem Globetrotters will bring their show to Rupp Arena in Lexington at 2 p.m. for a special Martin Luther King Jr. Day game during their 2017 World Tour. For more information, visit www.uky.edu/mlk/content/dr-martin-luther-king-jr-holiday-celebration. 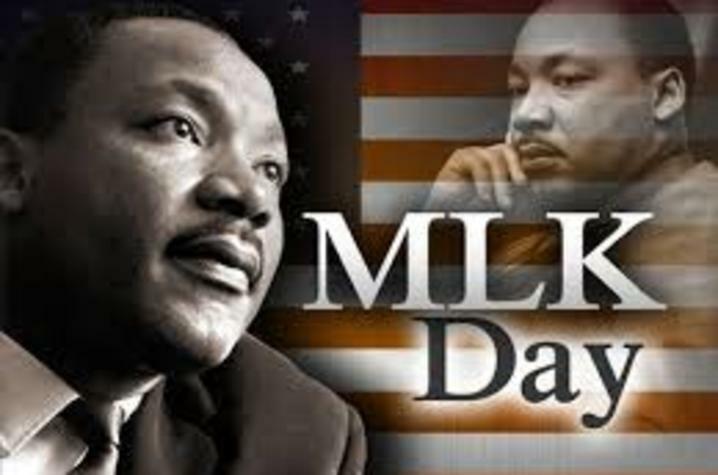 The Martin Luther King Jr. Celebration, sponsored by the University of Kentucky and Lexington-Fayette Urban County Government, is free and open to the public.